BURSTING from the start line! 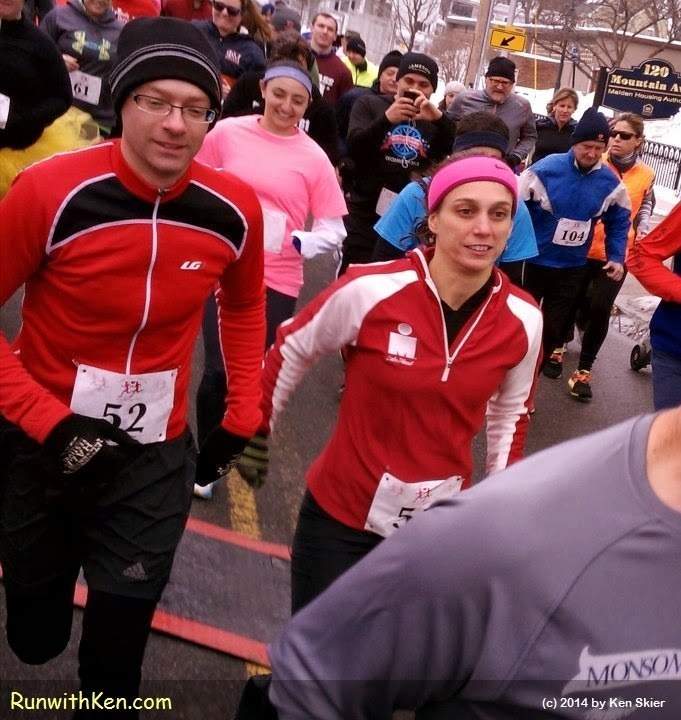 Running couples at a Valentines Day race! --and then a blast from his horn set us free. (These runners were just behind me when I took the photo. Yes, I was running, too. I did not stop or slow my pace.